The digital world has revolutionized the way people from many industries do their jobs. Kristen Hazard, CEO of Wildnote Inc., a Center for Innovation and Entrepreneurship (CIE) incubating company, realized that biologists, botanists, archeologists and other scientists still used primarily pen and paper and largely missed out on the benefits of digital tools. This observation inspired her to launch Wildnote Inc., a mission-driven organization focused on enhancing and protecting natural resources by building the best-in-class, go-to digital platform for collecting, managing and reporting environmental data. A typical day for biologists and other scientists conducting field work demands that they record data using pen and paper on the scene and then later manually transcribe their notes into a clunky PDF or Word document to send to a project manager. This transcribing can be tedious busy work after a long day on the field, but also leaves room for error. Wildnote takes away the need for manual transcription, saving people time and allowing for consistent, real-time data across a team. Utilizing the technology leads to higher efficiency, higher accuracy and the exact same type of information from each person out in the field. When the project manager gets the data, they are working in a web app. This means they can go to a photo gallery, look at the different data collected from a single spot and export that data. Wildnote’s mission to protect and enhance natural resources doesn’t stop at creating digital solutions for biologists: the company is a registered B Corporation and a member of the 1% for the Planet program, which means Wildnote donates one percent of gross revenue to environmental organizations. Wildnote started their entrepreneurial journey in San Luis Obispo with the Small Business Development Center, hosted by the CIE, and utilizing the free consulting available. 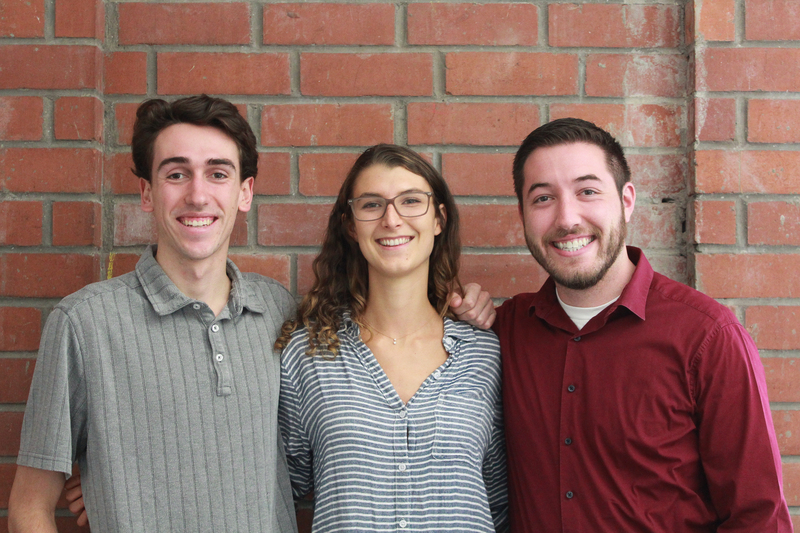 The team then entered the incubator program, a two-year-long program open to community members and Cal Poly students alike. 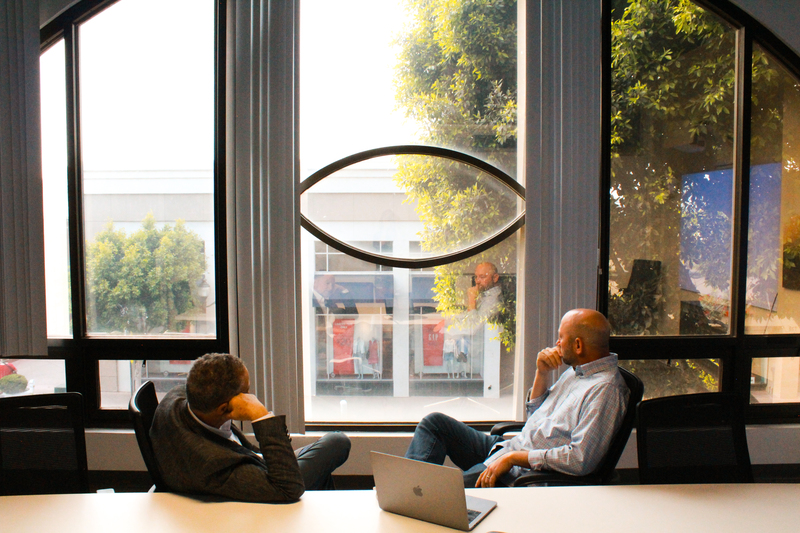 The modern office space in downtown San Luis Obispo, the support of mentors and consultants, and the CIE’s creative, can-do energy are some of the Wildnote team’s favorite benefits. Access to investors and learning unfamiliar skills gave them the boost they needed to grow into the company they are today. If your community startup is interested in receiving office space, gaining mentorship and joining a vibrant, energetic community of like-minded entrepreneurs, visit https://cie.calpoly.edu/launch/hothouse-incubator/ and explore the tools that empowered Wildnote to revolutionize their industry. Eleven Cal Poly startups have been selected as finalists for Innovation Quest (iQ), an opportunity for entrepreneurial-minded students to showcase what they have built, coded, designed or prototyped throughout their efforts at Cal Poly. $30,000 in equity-free funding will be available to three winners, decided by a panel of judges and announced April 27. Creating the All-Access Camper, which is a customizable camper shell with a convertible roof. Creating a bird detection and deterrent technology that utilizes autonomous fixed wing drones to help vineyard managers and other berry farmers protect their crops from bird damage and receive valuable data about the health of their vines. A ready-to-bake, 100% vegan, gluten and dairy-free walnut-based pie crust made with organic sugar and walnuts grown in California. A code-free platform enabling health researchers to create & deploy remote studies, while providing a decentralized application that securely connects them with consenting participants. A wearable device that allows people suffering from wrist pain to recover from their injuries at home, without going to a physical therapist. Leading an industry transition from petroleum-based plastics to sustainable algae based alternatives, beginning with a waterproof coating for performance rain coats. Allows users to shop pre-approved clothing with custom parameters in a consolidated supply chain, congregate all event information in one location and offer custom websites for every function. Provides a field service management software to service companies to streamline their business operations. Provides an automated, adaptable, and caregiver-oriented hand hygiene compliance monitoring system for hospital infection control teams, designed to reduce healthcare-associated infections by providing insightful accountability to healthcare providers. A direct-to-consumer brand, developing a matte liquid lipstick with FDA approved medical treatment to heal and conceal cold sores. A universal sink and spout attachment that filters non-potable water into safe drinking water. For more information on iQ, past winners and this year’s prizes, visit https://cie.calpoly.edu/prepare/innovation-quest/. Make sure to follow @CalPolyCIE to receive live updates on this year’s competition. What if you could own a piece of Amazon for only $100? Bill Wollrab, one of the original founders of the restaurant chain The Yard House, is on the verge of launching an ecommerce platform called Betterfly that is majority owned by its customers to create a more democratic, equitable shopping experience. Wollrab said the benefit of shopping in a collaborative model is that customers are able to find nearly any product in a grocery store like Whole Foods, but that for an investment of at least $100, hold stock in the company. When the site launches in April, more than 5,000 products will be available, but in the future, 20,000 products and services will be available to customers. Wollrab wants Betterfly to be a portal for anything bought online. Not only do customers own the business, but know exactly what they are buying and how different products could affect their health and the health of the planet. All products will be tested and rated by an independent nonprofit organization to take the time and resources needed to vet out products for customers. The customer empowerment doesn’t end there. Five percent of company revenue will be donated to charities of the customers’ choice. This is ten times more than Amazon Smile, Wollrab said. Backed by years of successful entrepreneurial experience, Wollrab chose to work within the Center for Innovation and Entrepreneurship (CIE) incubator program for the one-of-a-kind environment of community, support and knowledge. Within the environment described by Wollrab, entrepreneurs of diverse experience levels, ages, and levels of progress in their companies thrive. Wollrab said that this diversity is not polarizing but in fact part of why the program is so enjoyable. 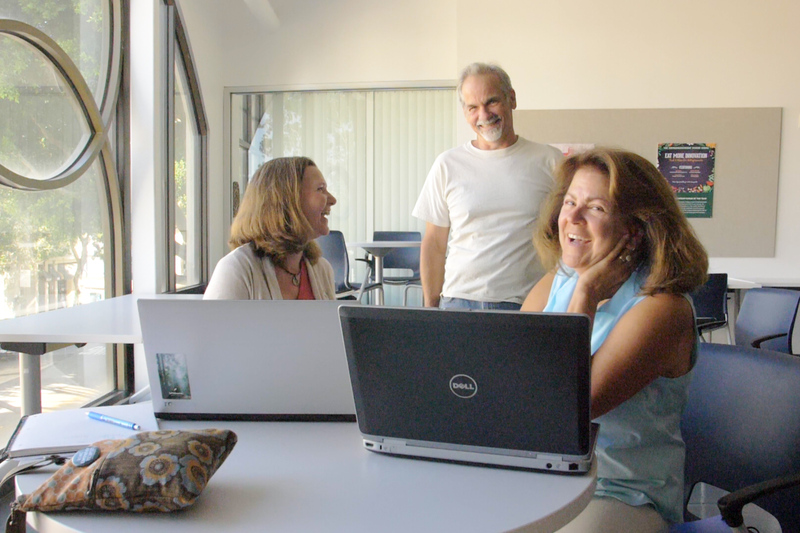 The incubator program is accepting applications from entrepreneurs throughout the San Luis Obispo community. Learn more about the program and submit applications here: https://cie.calpoly.edu/launch/hothouse-incubator/. Electric vehicles (EV) are taking the world by storm. NeoCharge, an incubating company in the Center for Innovation and Entrepreneurship (CIE), is working to provide better-charging solutions for residential EV owners. NeoCharge CEO Spencer Harrison and CTO Akhil Veluru designed their first product, a smart adapter for EV’s at home, to save EV owners time and money, ultimately making residential EV ownership more practical and accessible. The team says their residential focus is was sets them apart in the EV world. They focus on how people charge their EV’s at home, what that experience looks like and how to make it as seamless as coming home and charging a cellphone or laptop overnight. NeoCharge developed the first iteration of their product and currently allows customers to sign up for beta testing. They plan to make tweaks and add features based on customer feedback. WiFi functionality and software that lets customers choose whether they want to use renewable energy to charge their EV’s are on the short list of features they are already looking to add in the second round. To prepare for manufacturing and the necessary safety testing preceding it, the NeoCharge team is in search of funds. Harrison and Veluru didn’t get to where they are today overnight. They started their entrepreneurial journey alongside the CIE as a part of the hatchery program, an entrepreneurial epicenter on the Cal Poly campus where interdisciplinary groups of students congregate to solidify ideas, form teams and receive the early mentorship and guidance they need. From the hatchery, the NeoCharge team entered the 13-week-long summer HotHouse accelerator program. 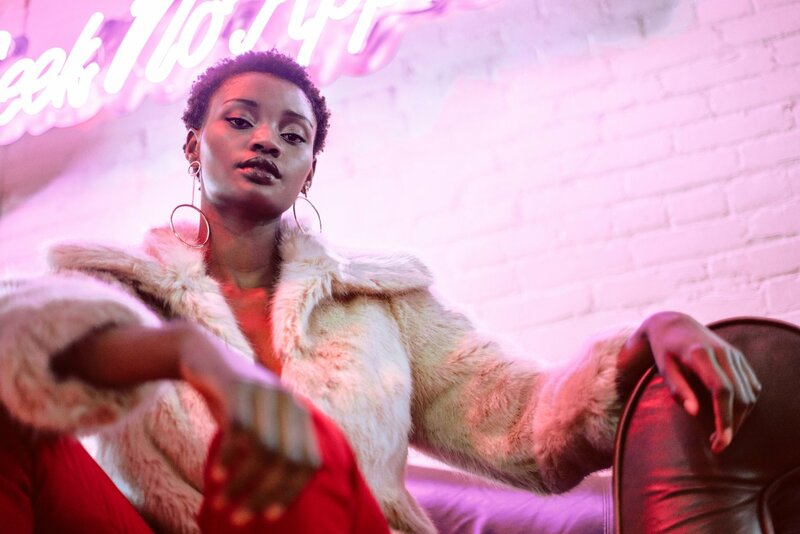 Here, they not only received seed funding, but a network of peers, seasoned mentors and industry connections to get their company off the ground. Today, NeoCharge can be found in the CIE HotHouse as a part of the two-year-long incubator program supported by mentorship and the vibrant CIE community. You can learn more about the products offered by NeoCharge and even sign up to be a beta tester at www.getneocharge.com. Online shopping has become a major part of many people’s lives, but second year business major Tiffany Yeung wants to add a whole new layer to the experience of buying and selling clothing and lifestyle items over the web: philanthropy. That’s why she created WearToGiv, an online retail store that works as a profit share with other companies to give them money for their philanthropies and charities. Through her online platform, Yeung partners with companies and runs campaigns. When products are sold through the campaign on WearToGive.org, a percentage of the profit goes back to the philanthropy or charity they choose. To date, WearToGiv has partnered with more than 100 organizations around the country and donated thousands of dollars to organizations such as Autism Speaks, The Alzheimer’s Association and the Arthritis Foundation. “We wanted to create a place where people felt good about donating but also received something in return,” said Yeung. Yeung has been invested in entrepreneurship from an early age. She launched her first company in seventh grade where she sold custom-made T-shirts. In highschool, as an active member of Future Business Leaders of America (FBLA), she launched a website selling corsages and boutonnière. She is now a member of the Center for Innovation and Entrepreneurship (CIE) Hatchery, an on-campus program where students come together to build entrepreneurial teams, develop their ideas and learn from mentors. “The Hatchery has given so many opportunities not only for my professional growth, but personal growth,” Yeung said. Finding her mentor and growing a network are two of the most impactful takeaways experienced by Yeung in the CIE Hatchery. She encourages other students to visit the Hatchery, regardless of what major or interest they have, because of the unique experiences found there. 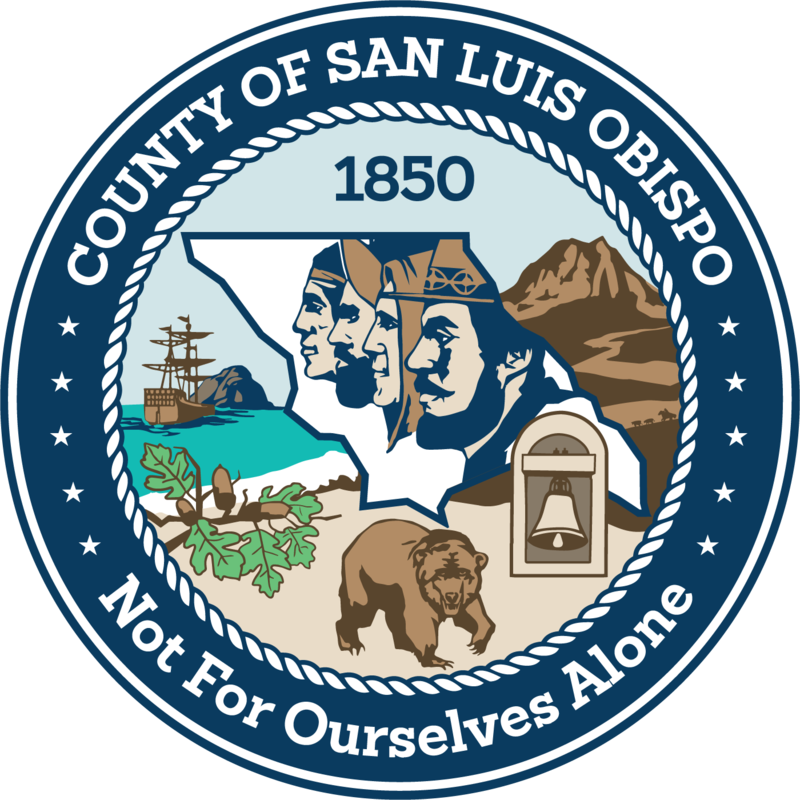 “I am really excited to be a part of the entrepreneurial ecosystem here in San Luis Obispo,” said Yeung. To learn more about getting involved with entrepreneurship on the Cal Poly campus, join our community on Instagram @ciecalpoly, follow us on Facebook and get to know our programming at https://cie.calpoly.edu/blog/whats-on-campus-the-hatchery/. Imagine feeling like you can’t move a muscle; as if your feet are glued to the floor. This is what freezing of gait feels like, one of the most common and debilitating symptoms of Parkinson’s Disease. The CIE Incubator company De Oro Devices is dedicated to improving the lives of people with Parkinson’s disease and their first product is a device designed to manage freezing of gait. Freezing of gait is caused by a lack of communication between the brain and the body. Collin found, however, that research shows this communication can be jump started using a series of audio and visual cues. This is what inspired the De Oro Devices product designed to counteract freezing of gait. “We put the most effective audio and visual cues, put them into a small, portable device that fits onto any cane or walker and allow someone to regain movement and overcome freezing of gait episodes wherever they are,” Collin said. The team has developed a prototype of the product that has already made a difference in people’s lives. It will be the least expensive and most portable device on the market designed to mitigate freezing of gait and the anxiety that comes with it. De Oro Devices got their start in the Hatchery in Spring 2018. After building a team and solidifying their idea in the on-campus space, the company applied for the accelerator program and were admitted into the Summer 2018 class. After ten weeks of intensive preparation, De Oro Devices launched at Demo Day and continued their journey into the incubator. Collin said the support of mentorship, funding, workshops and even office space made the CIE an invaluable experience for De Oro Devices. Who knew you were such a diligent cleaner? Or is it more likely, you are a diligent procrastinator. Everyone has less motivated days, but when your home is your work and your work is your home, it is easier to blur the lines and get distracted. You think you can watch TV, complete your work and eat a sandwich at the same time, but that probably doesn’t help your productivity much. Are you eating because you’re hungry, or because you’re bored? You may be having more frequent snack-attacks because you can, not because you should. There are five tabs open on your computer and Instagram is up on your phone. You’re probably working for 20 percent of the time and online shopping, scrolling through social media and checking your email for the other 80 percent. Working from home probably sounded so great, but when you were envisioning this greatness, were you considering the actual work? More likely, the vision included sleeping in, wearing pajamas all day and being your own boss to some extent. The actual sitting down, getting your computer out and doing work may not have fit into the work from home fantasy, but it is very much the reality. Sometimes you just need someone to talk to about work stuff. Not only are second opinions valuable, but also work drama happens, and your four-legged-friends may not be able to level with you the way you need them to. Working from home means you don’t have to shower, right? Wrong. Personal hygiene is important for productivity and professionalism, even if you the only “coworker” you have is your four-legged friend. Sometimes, boundaries can be important. The work-life balance is crucial to mental health but when your work and life happen in the same environment, the lines can blur. 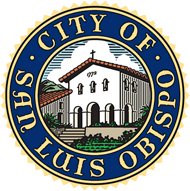 The central location of San Luis Obispo between Los Angeles and the Bay Area draws many to live in the area. David Figueroa, the co-founder and director of projects for DCR Designs, chose to work remotely in San Luis Obispo for this very reason. Figueroa partners with transportation agencies in Los Angeles and the Bay Area, meaning he is required to travel to both metropolitan cities frequently. While living in San Luis Obispo became an obvious choice, working remotely in a less metropolitan area presented a challenge. Figueroa wanted to be surrounded by more like-minded people in order to gather inspiration, network and grow. That’s where coworking at the Cal Poly Center for Innovation and Entrepreneurship (CIE) HotHouse came in. The variety of different people around him was another draw to the CIE HotHouse. Professionals, students and everyone in between make the coworking space a unique melting pot of ideas and innovation. Aside from the energy supplied by those around him, Figueroa said the CIE HotHouse offers plenty of other perks. Educational and social events offer even more networking opportunities while the large kitchen and a variety of different lounges create a comfortable, productive environment. 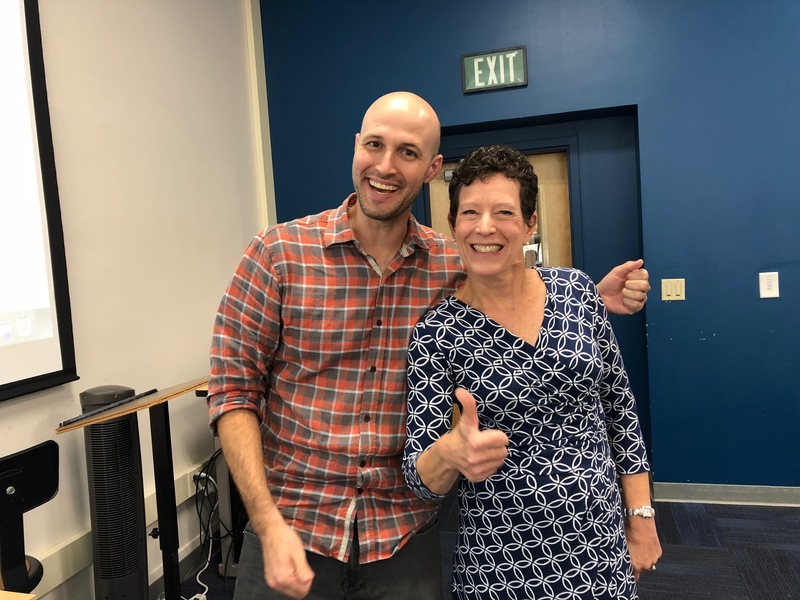 The Center for Innovation and Entrepreneurship’s (CIE) very own Faculty Fellows, Lynn Metcalf and David Askay, presented a study in conjunction with Unanimous AI showing that when connected by artificial intelligence (AI), business teams make better decisions when working together as opposed to working as individuals. The AI tool used to connect these teams is referred to as “Swarm AI” is created by Unanimous AI. It connects networked teams over the internet and allows and empowers them to share their combined insights in real time. Sixty small teams took a standard social intelligence test best known as “Reading the Mind in the Eyes” (RME). This test has historically served as a strong predictor of team effectiveness and overall collective intelligence. All team members took the test individually, but then again together connected online using the Swarm AI tool. When team members took the RME test individually, they averaged 68 percent accuracy. When they came together to work together as an AI-powered “hive mind,” the teams average 85 percent accuracy. Even more, the average team connected by AI outperformed 93 percent of all individuals. These significant results lead to many possibilities for the application of Swarm AI when applied to business teams. From making optimized decisions and more accurately forecasting how customers will react to messaging, to product features and sales statistics, the study shows how powerful teams can truly be in comparison to the individual. Alex Waddel, a Cal Poly student who interned with Unanimous AI as a data scientist, says that an interesting part of the research findings is the fact that they can be applied in infinite settings. The CIE Faculty Fellow program hosts influential faculty from every college at Cal Poly. This powerful group introduces innovation and entrepreneurship to students in their respective fields while pushing their students outside of the traditional classroom experience. HotHouse coworker Alisa Reynolds has revolutionized the desk to improve wellness while doing office work. Founder of the company Buddhi Boxx, Reynolds invented the world’s first floor-sitting to a standing desk to combat health problems associated with stationary living. Innovative and mindful of holistic wellness in the workplace, Reynold’s attributes some of her best ideas to inspiration drawn from the HotHouse coworking space. “I don’t think I could do what I do without the interaction that I find in the coworking space,” she said. The CIE created a community coworking space with the goal of providing an exceptional work environment for entrepreneurs. Local professionals are guaranteed to maximize productivity with access to business consulting and a collaborative atmosphere. Founders Circle members are a crucial component of the Center, providing the vital link between students and the entrepreneurial business community.